A shortage in supply, improved factory prices and good factory demand are the three factors keeping lamb prices strong, according to the Auctioneer of Kilkenny Mart, George Candler. Candler said the good prices for lambs being paid in marts comes down to a “supply and demand situation”, as the market is currently looking for lambs. “The sheep trade is not flooded with sheep at the minute,” he said. 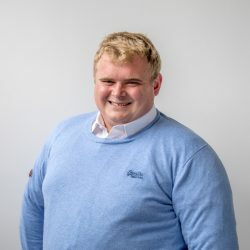 Candler also said that the price being offered for lambs in the factory is having a positive impact on the trade, with factory agents actively purchasing lambs around the ring. However, he said that a number of farmers are bypassing the mart and bringing lambs straight to slaughter, which is also keeping the mart trade strong, due to smaller numbers. The store lamb trade continues to remain buoyant, he said, with farmers feeling confident about buying these lots, as factories are currently quoting 550-565c/kg for finished lambs at the minute. 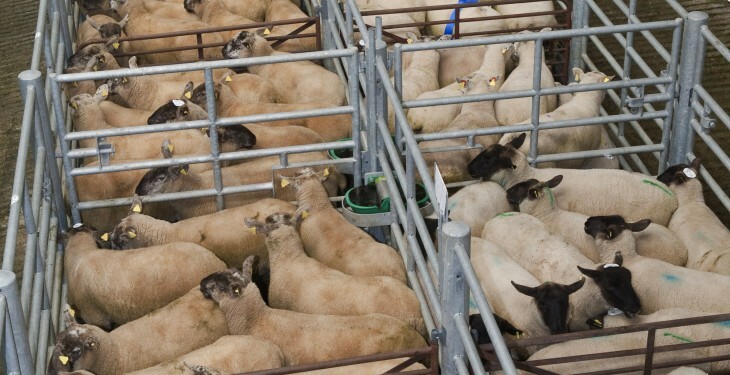 Despite the shortage in supply of lambs in Kilkenny Mart on Monday, Candler said there was a bigger sale of sheep with 600 lots on offer, but the trade remained good for all lots. Candler said there was good demand for butcher and factory lambs, with the hammer falling on these lots from €2.25-2.55/kg and €2.40-2.60/kg, respectively. He also said that store lambs continue to meet a good trade and these lots generally sold from €2.30-2.60/kg. Meanwhile, the ewe trade also continued to remain strong, with the best cull ewe selling to €135, but feeder lots started off at €50 each, he said. Candler also said that in-lamb ewes and ewes with lambs at foot met with a very strong trade. In-lamb hogget ewes made €120-182/head, while ewes with lambs at foot sold from €170-225 each. The number of sheep on offer in New Ross Mart on Saturday was back on the previous week, according to the Mart Manager Richard Kirwan, with 778 sheep passing through the ring. However, Kirwan said that smaller sale had little impact on the trade, as prices remained similar to last week’s levels. Kirwan said there were plenty of agents active around the ring trying to secure orders for factories, with butcher lots selling from €127-134 or €78-83 over and factory lambs made €118-127 or €70-78 over. 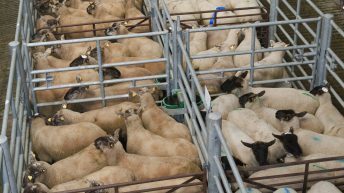 He added that store lambs continue to meet a good trade, as buyers are purchasing in the hope of a stronger factory price in the next couple of weeks, these lots traded from €88-115 or €55-72 over. Kirwan also said that were a small number of ewes with lambs at foot on offer and these lots traded from €152-235, while ewes scanned with twins made €135-175 each, he said. The number of sheep on offer in Mountbellew Mart on Saturday had increased on the previous week, according to the Mart Manager Marianne Higgins. But, despite this increase in numbers, she said the trade continued to remain similar to the previous week, with demand best for heavier fleshed lambs. Higgins said that the lamb trade continues to remain strong, with factory and butcher type hoggets selling from €2.40-2.52/kg, while the lighter store lambs made €2.50-2.62/kg. Cast ewes continue to remain in good demand in the Co. Galway venue, she said, with a brisk trade for the heavily fleshed cast ewes, the hammer fell on these lots from €85-127. Higgins also said that there was a very large number of in-lamb ewes on offer, with these lots making €155-200. 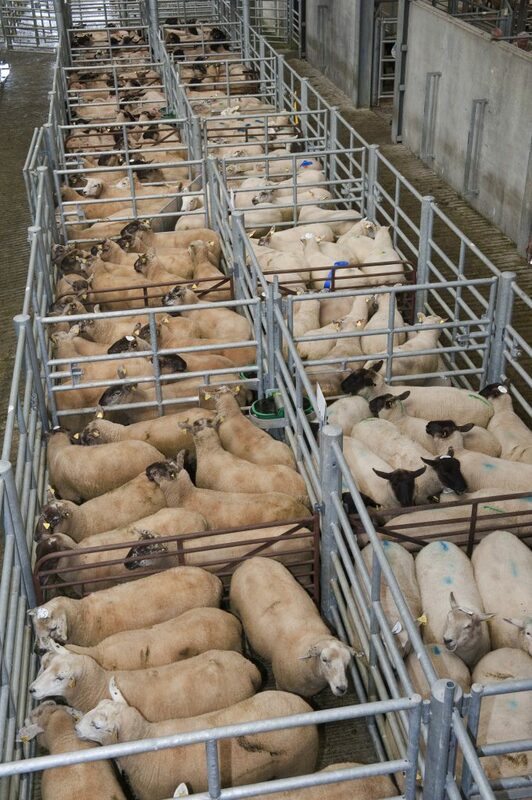 There was also strong demand for ewes with lambs at foot, these lots traded from €176-234.